It's a big BIRTHDAY celebration this week as we invited friends over to smash 3 of our movie geek's favorite things together - 80s music, snacks and an 80s extreme sports movie! Joining us are podcast besties Chris from More Gooder Than and Dan from Dan and Kody Podcast! To begin with, we draft some of our favorite songs from 1986 in our very first #FantasyMusicDraft! With singing! Then, we submit ourselves to Sonic's brand new 'Pickle Slushies' in an eye-opening edition of #MysterySnackChallenge! 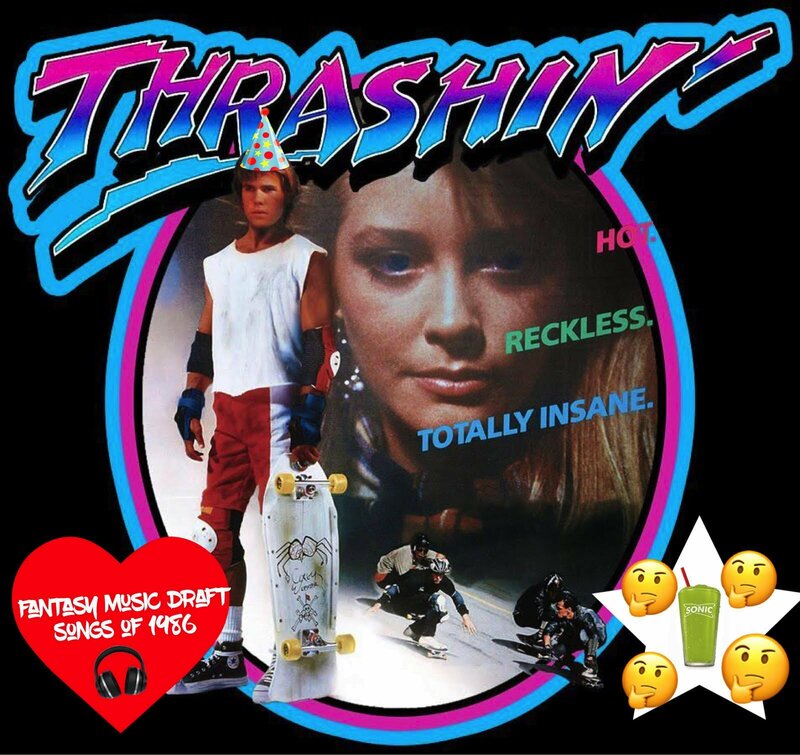 And lastly, Justin introduces everyone else to the Josh Brolin-starring 1986 skateboarding classic Thrashin! Good times *may* have been had? It's hard to tell with this crew! Please check out our podcast on Facebook, follow us on Twitter @MovieGeekCast and find our pod and several other awesome ones like it on the PodFix Network! Subscribe and if you like us (like really like us), we'd appreciate it if you leave us a positive rating and review on Apple Podcasts! You can also email us any questions or comments to moviegeekcast (at) gmail (dot) com!